The Mets lost again Tuesday night, falling to the Reds 3-0 when Jay Bruce hit a walk-off home run off of Josh Edgin. Don’t look now, but the Phillies are just one game behind the Mets for third place… I guess I shouldn’t have been so quick to write them off at the All-Star Break – while they won’t make the playoffs, it’s certainly starting to look like the Phillies could finish 2012 with a better record than the Mets. It’s tempting to point to Edgin for giving Bruce too good a pitch to hit, and Manny Acosta for failing to record an out in the ninth inning as the reasons the Mets lost the series opener, but that’s really not the whole story. Chris Young had one of the most strangely impressive outings of his Mets’ career. He was in trouble of his own making in every inning, allowing eight hits and four walks over 5 2/3innings, but he didn’t allow a run. And until the ninth inning, the bullpen was flawless. Ramon Ramirez bailed Young out of a bases loaded jam in the sixth, while Bobby Parnell and Jon Rauch pitched scoreless innings in the seventh and eighth. The hitters let the team down again. The Mets’ offense left 10 batters on base and was 0-for-8 with runners in scoring position. No matter how good your team’s pitching is, you can’t win games if you don’t score runs. The Mets manager stopped short of criticizing the front office, instead directing his words to the players on the current 25-man roster. But the truth is, the Mets need to look outside the organization for some medium- and long-term help. Looking at the roster objectively, how many of the Mets’ position players would you want on your team? How many of them would be starters? I guess we’ll find out soon enough if Sandy Alderson can sell Wright on his plan for rebuilding the Mets. Unless ownership is prepared to increase payroll above this year’s level, Alderson is not going to be able to make big changes in 2013. 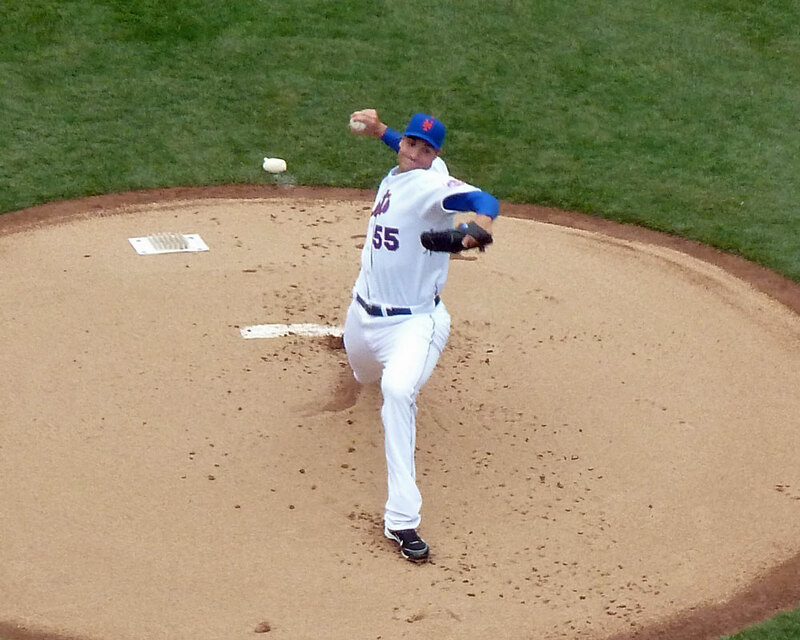 They’ll have to wait until 2014, when Johan Santana and Jason Bay come off the books. The problem is that Wright and R.A. Dickey, the Mets’ two best players, will also reach the ends of their contracts that winter. If Alderson is not going to be able to re-sign his stars, it would be smarter to do the unthinkable and trade them this off-season. But with season tickets to sell and an All-Star Game to promote, who knows if ownership would let him make the best baseball move if that’s what it comes to? Not a fun thing to think about… but it could be worse. Just look at the mess they have up in Boston.